How can I provide a balanced diet for my horse? A fully balanced diet is essential for all horses but how you provide this will depend on their type, work and condition. Good doers who do well on just forage alone will benefit from a balancer, which is designed to be fed in small amounts to supply all their essential vitamins, minerals and amino acids (micronutrients) without excess calories. Horses in more work and needing more condition will require extra calories alongside essential micronutrients and all this can be provided with a good compound feed. A Balancer is a nutrient dense feed designed to be fed in small amounts which provides all the essential vitamins, minerals and quality protein for a fully balanced diet. Balancers add great flexibility to the diet and mean that you can add extra nutrients or not depending on the individual requirements of your horse. Balancers also often contain other beneficial ingredients such as yeast based prebiotics which have been shown to support beneficial hindgut microbes, improving fibre fermentation and nutrient digestibility so the horse gets maximum benefit from his diet. How do I feed my horse more energy without adding weight? Unfortunately, energy and calories are essentially the same! This means you cannot add energy to the diet without adding calories and increasing the potential for weight gain. If the horse is lacking energy but in good condition it is unlikely this would be due to a lack of energy in the diet. The most effective way to increase energy levels, is to make sure your horse is at a healthy weight and fit enough for the work they are doing simply because the amount of energy generated from feed increases with fitness. How much forage should I feed my horse? Horses need to eat 2-2.5% of their bodyweight (BW) per day in forage dry matter (DM), which is 10-12kg per day for a 500kg horse. The dry matter (DM) is key because forages can differ in their DM content. Haylage for example, normally has a lower dry matter content than hay, so you would need to feed 1.2 to 1.5 times more than hay depending on the DM content of the haylage, to ensure the horse receives adequate DM. This would mean that a 500kg horse fed haylage alone at 2% of BW would need to be having 12 to 15 kilos per day. This can also apply to hay, for example, if the hay had a DM content of 90% and the horse received 10kg per day it would only be getting 9kg dry matter. Therefore, you would need to feed 11kg of that hay to ensure the 10kg DM per day that is needed to meet requirements. Forage itself should always make up the majority of the diet to ensure normal, healthy gut function, and if even if forage needs to be substituted with higher energy feeds it still should not form less than 70% of the total diet or 1.5% BW. Forage should always be fed on an ab-lib basis so the horse is never without it, which will help prevent digestive upset. How much can I feed per meal? As a rule, you should feed no more than 500g per 100kg bodyweight, which for a 400-500kg horse would be no more than 2 – 2.5kg per meal and starch should be fed at less than 2g per kg BW per meal to keep digestive problems to a minimum. However, offering smaller, more frequent meals which reduces the amount of feed in each meal is ultimately much healthier for your horses’ digestive system. Increasing 1 or 2 larger meals per day to 3 or even 4 smaller ones is a sensible choice. What is the safest way to transition my horse to a new feed? Any new feeds should always be introduced very gradually to allow the microbes in the horses’ gut enough time to adjust fully. The easiest way to do this is to change the feed slowly over about 7-10 days. A good method for this is to start to introduce the new feed at 25% and drop the old feed to 75% for the first few days, then increase the new feed to 50% and decrease the old one to 50% over the next few days until eventually by day 10 the horse is receiving 100% of the new feed. This should help keep digestive upset to a minimum. The same principle applies for forage, for example, if you are changing from hay to haylage. My horse is excitable, what feeds should I look for? A highly-strung horse needs to avoid elevated levels of starch and sugar in the diet which could contribute to exuberant behaviour. Base the diet on forage and offer feeds containing sources of highly digestible fibre such as unmolassed sugar beet to provide slow release energy for work. Oil rich feeds such as linseed meal are another form of slow release energy which can also be provided if the horse needs it. Look for feeds containing ideally less than 12% starch and sugar to help keep your horse calm. Excitable or fizzy behaviour can sometimes be the result of digestive discomfort, so it’s often a good idea to firstly make sure there are no underlying digestive problems that could be contributing to this behaviour, before planning a suitable diet. I often hear about NSC levels in hay but I’m not sure what this is? NSC is basically starch plus sugar and for horses with metabolic problems or those prone to laminitis, its often necessary to make sure the NSC content of their forage is less than 12%. When hay is tested, the analysis will often show WSC (water soluble carbohydrates), ESC (ethanol soluble carbohydrates) and starch. ESC is basically simple sugars, like sucrose and fructose, and WSC is those sugars plus fructan. The NSC itself is not shown but this can be calculated by adding the % WSC plus the % starch to get a % NSC. Knowing the NSC level in the hay is important to be able to assess how much starch and sugar the horse is getting in his diet and make any adjustments if necessary. What is the best way to reduce the sugar content of my hay? Normally for metabolic/laminitic and overweight horses and ponies the starch and sugar or Non-Structural Carbohydrates (NSC) level needs to be reduced below 12%. Soaking the hay is commonly thought to reduce the overall NSC percentage by reducing sugars or Water Soluble Carbohydrates (WSC) to a suitable level but research has shown that the amount of sugar reduction can be highly variable. Often to get a notable reduction of NSC, hay needs to soak for at least 16 hours, by which time it’s much less palatable, plus soaking increases the levels of bacteria in hay, leading to a reduction in hygiene, which is not ideal. Steaming hay has been shown to reduce sugars but like soaking results have been highly variable and it often doesn’t remove enough sugars. However, it could work for those hays who’s NSC level is only just above 12%. with the WSC reduction from steaming bringing the NSC to within ‘safe’ limits. There are now specific low NSC hays available which are produced from growing grass species which are naturally lower in NSC and/or cutting the hay at times when the NSC content is generally lower. Looking for these types of hay could provide the ideal solution for your horse or pony, without the need for soaking or steaming. 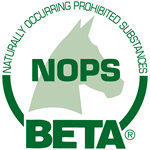 I’ve heard carrots can be bad for my horse because of their high sugar content, is this correct? It’s true that carrots do contain sugar but they are also 85% water! A typical analysis of a carrot will tell you that they contain about 5% sugar, this means that 100g of carrot supplies just 5g of sugar. Hay normally contains around 8-10% sugar, so if you were feeding hay containing 10% sugar, for example, 100g of this would provide 10g of sugar and obviously, horses eat a lot more hay than carrots, so a 1kg section of hay for example would be supplying 100g of sugar, a lot more than the humble carrot! The high-water content of carrots compared to the sugar means that fresh carrots are low calorie and low sugar and starch and are perfectly safe to be fed as a treat or in even larger quantities such as 1kg per day for most horses. For laminitics the amount of carrots may have to be more limited but there certainly isn’t any reason to exclude them. Carrots are high in vitamin A, B vitamins, Vitamin C, fibre and antioxidants so they are a great feed for your horse or pony, particularly veterans who may benefit from the high antioxidant content. My horse is overweight. Should I give him a low-calorie compound feed? No. An overweight horse or pony should be fed a low calorie, low sugar and starch forage based diet. A balancer can then be added as it contains negligible calories, whilst providing the horse with all their essential micronutrients. Although a low-calorie feed may seem like the ideal solution all it will do is add extra calories the horse or pony doesn’t need and excess calories = excess weight!! What are the best feeds for a laminitic horse or pony? A laminitic horse or pony needs a low sugar and starch diet, ideally less than 10-12% so feeds that support this are the ones to look for. The diet should be based on appropriate forage, which has been tested for starch and sugar levels and if additional feeds are required those that are low in starch and sugar and high in sources of digestible fibre such as unmolassed beet are an excellent choice. Balancers make an ideal feed for laminitics who may be missing out on essential vitamins, minerals and protein if their grazing is restricted as they supply these but are low in starch and sugar. Additionally, small amounts of linseed meal can be a beneficial addition for a laminitic horse or pony because it is high in Omega 3 fatty acids. These fatty acids have anti-inflammatory properties so are useful where there is inflammation, and could potentially support the recovery process. Can horses get feed allergies? Whilst true feed allergies in horses are very rare, and not well supported by research they can occur. Food allergy or hypersensitivity is normally a hypersensitivity reaction to a certain allergic ingredient. Feed allergies are normally expressed on the skin as lumps, bumps, hives, or itching but it’s often impossible to know if the feed is the culprit for skin conditions because of other chemicals and products which may be used on the horses’ coat, such as grooming products or shampoos, along with mites that may be present in forage or bedding. If you suspect your horse is allergic to something in the feed, the only way of determining this is coming up with an elimination diet with your vet to see if this makes any difference. An alternative approach could be to move the horse to new surroundings, changing the bedding and forage source and provide no concentrates or supplements. If the signs disappear within 2-6 weeks, then other feed can be introduced gradually to assess any reaction. In general, the problematic ingredient should begin to cause a reaction within 1-14 days, and can then be removed from your horses’ diet. Will too much protein make my horse excitable? Too much protein in a horse’s diet is often blamed for causing excitability and excess energy, but this is a myth. A feed that’s high in protein will also generally be higher in energy, which is the reason the horse becomes fizzy, but protein is often labelled as the culprit. Protein can be used as an energy source but this is normally only when the horse is not receiving enough energy from the diet. Excess protein is excreted from the body in the form of urea and ammonia through urine. Ammonia has a strong smell which is a good indicator the horse is getting too much protein but it can also cause irritation to the respiratory tract. Increased thirst is also a sign of excessive protein as its excretion results in an increase in urine and therefore, water loss. The potential health effects of too much protein mean feeding excessive amounts is not ideal but it certainly won’t make your horse excitable. Is haylage higher in sugar than hay? Although its generally believed that haylage is much higher in sugar or ‘richer’ than hay, the opposite is true. This is because during fermentation, sugars in the haylage are converted to lactic acid and volatile fatty acids (VFA). This means that contrary to belief, haylage is normally lower in sugar than hay. Haylage is, however, higher in protein, and more digestible than hay giving it a higher Digestible Energy (DE) content, because the horse can extract more nutrients from it. As a result, horses generally tend to do better on haylage compared to hay on a dry matter basis, meaning they will often need less additional feed. My horse has a dust allergy, which is the best way to reduce the dust in his hay? Dust allergies in horses are fairly common and an important part of managing this is reducing the amount of dust in their hay. Soaking has long been thought to be a reasonable solution as it causes dust particles to swell up and stick to the hay so that they are swallowed rather than inhaled. However, research has shown that it is steaming the hay that gets the best results. Steaming hay has been shown to remove all fungi and yeasts and drop bacterial levels by 98%. In contrast, soaking has been shown to increase the number of bacteria in hay, leading to poor hygienic quality so it may not always be ideal. If your horse has a dust allergy, the best overall solution may be to feed haylage. Haylage is normally dust free so is an excellent choice for horses with a compromised respiratory system. Feeding haylage means that you can eliminate the dust in your horses’ forage without worrying about soaking or steaming. Do I need to add salt to my horses’ diet and if so how much should I feed per day? Horses and ponies lose electrolytes in the form of sodium and chloride, or salt, every day, through any sweating and via urine and faeces, so it is essential to feed it daily to replace those losses. Current NRC (2007) recommendations for maintenance are 10g/100kg body weight (BW) salt (NaCl) daily, which for a 500kg horse translates to about 2 tablespoons per day which you can either mix into your horses’ bucket feed or feed as loose salt in a separate bucket. Horses in work will obviously require more, with a horse in heavy work needing around 18g/100kg body weight to replace increased salt losses through sweating. Are cereals bad for my horse? Cereals such as oats, wheat, barley and maize are often portrayed as being bad for your horse due to the levels of starch they contain. Horses have a limited ability to digest starch so if too much is fed, it can result in digestive problems such as colic and laminitis. When starch is digested, it is converted to sugar so if substantial amounts of cereals are fed the resulting peaks in sugar can lead to metabolic problems and/or excitable behaviour. There are certain horses or ponies where cereals should generally be avoided, such as those with laminitis, insulin resistance, PPID, overweight horses, ulcer prone horses and those that are prone to fizzy behaviour. However, if cereals are suitably processed either mechanically or by cooking such as micronisation so that the horse can easier access the starch within, they can provide a useful source of energy for a horse in regular work. The most important thing with cereals is not to overfeed them. Offering a muesli containing moderate amounts of cereals, fed in small, frequent meals can be a good choice for working horses and ponies. How can I tell if my horse is the right weight and condition? Getting familiar with Body Condition Scoring (BCS) and using it regularly is a really good idea to be able to assess your horses condition. The Henneke Body Condition Scoring system works on a 9-point scale where 0 is extremely emaciated and 9 is extremely obese and is the one that most nutritionists would use. Ideally your horse should score 5 on this scale to indicate that they are in the right condition. Anything over 6 is essentially overweight and a weight loss programme should then be considered. It’s important to be brutally honest when you use BCS to assess your horse to be able to implement an appropriate feeding and exercise regime. A weight tape will help confirm what the BCS has shown in terms of how much your horse actually weighs. Condition scoring and weigh taping together regularly can help pick up subtle changes in condition and weight loss or gains, so the diet can then be adjusted accordingly or not as necessary to maintain the right condition. Is any of the Castle Feed range unmolassed? Yes! Castle Feeds produce a premium range called Smart Horse Nutrition and all these feeds are completely molasses free. They also contain no fillers, binders, GMO ingredients or cereal by-products and are designed to provide superior nutrition for optimum health and performance at a very competitive price.